At 23andMe, we want to learn more about how genetics influence health and disease. For some research studies, we’d like to reach out to people with “unreported” DNA variants that are not included in their 23andMe genetic reports. The report is in development. The condition we’re studying is very rare and therefore relevant to very few 23andMe customers. Scientists are still studying the link between a gene and condition, and results are too preliminary for 23andMe to provide a report. You have a 23andMe service that does not include the specific genetic health report. Before we contact you about taking part in such a study, we’d like to know that you want to learn about research studies based on this kind of genetic information. In some cases, you could learn new things about your health risk, including risk(s) for serious medical conditions. How does this differ from other consents? If you agree to learn about research opportunities based on your unreported genetics, it means that we may contact you in the future about research opportunities based on genetic information that is not included in your 23andMe reports. This is different than our other research consents (the Research Consent Document and the Individual Data Sharing Consent Document) because you are not agreeing to participate in a specific research study. Rather, you are agreeing to be contacted about research opportunities in the future. Does this consent impact my decision to participate in general 23andMe Research? If you want to contribute to 23andMe Research, you only need to agree to our Research Consent Document. 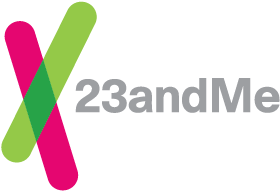 There are many 23andMe research opportunities that do not involve contacting you based on genetic information that is not included in your reports. However, keep in mind that declining to participate in 23andMe Research will exclude you from being contacted about all research opportunities in the future, including those covered by the Research Opportunities Based on Your Unreported Genetics consent document. Can I change my mind? Do I need to participate in the studies you contact me about? You can decline to be contacted at any time. If you change your mind, you can make changes through your account settings. It is always your choice whether to participate in a research study you are contacted about. We will provide detailed information about every study you’re eligible for, and you can always decline to participate. Will I receive new health reports or compensation if I choose to participate? Depending on the nature of the study, you may or may not be offered 23andMe Health report(s). You will not receive compensation for agreeing to be contacted about research opportunities based on unreported genetics. Some studies may offer compensation for participation, while others will not. We will always share the details of a study, including whether or not compensation and/or health report(s) will be offered, before you agree to participate.